Nearly time for afternoon tea! In the old eating days this time used to herald the desire for a little or big something sweet. The afternoon sugar cravings started kicking in and as a sugar addict, it was generally overwhelming. Off I’d go to find something sweet and tasty because “I deserved it!” and I had been so “good” all day, or for most of the week – or what ever! Sound familiar? Dropping the carbs and in particular refined sugar means that I don’t crave the sweet stuff anymore. However, what has happened is a fascination with how you can make primal/paleo, gluten-free, healthy baked treats that don’t leave you craving. For the first time in my life I could, can and do, eat one cookie and save the rest for later! This is turning into a bit of a ramble so let’s talk about chocolate and other goodies that go into making a healthy chocolate cookie. We know know that quality dark chocolate 70% or higher is really, really good for your body! Add to that healthy fats like butter and cream then mix these all together with almond flour and coconut. While I may not have a sugar addiction any more, you must agree that these healthy treats also look so delicious that maybe you may have to have two. • Pre-heat oven to 180c/350f. • Combine all dry ingredients except for the chocolate chunks. • Melt butter (and honey if using instead of coconut sugar). • Stir butter mix into dry ingredients. • With a sharp knife chunk up your chocolate. Add chunked chocolate to the mix and stir through well. • Roll heaped tablespoons of the mix into balls. • Place onto 2 baking sheets lined with cooking/parchment paper. • Flatten with fork or your hands. • Bake for 10 – 12 mins. • Carefully slide the cooking/parchment onto a wire cake rack and leave to cool completely. 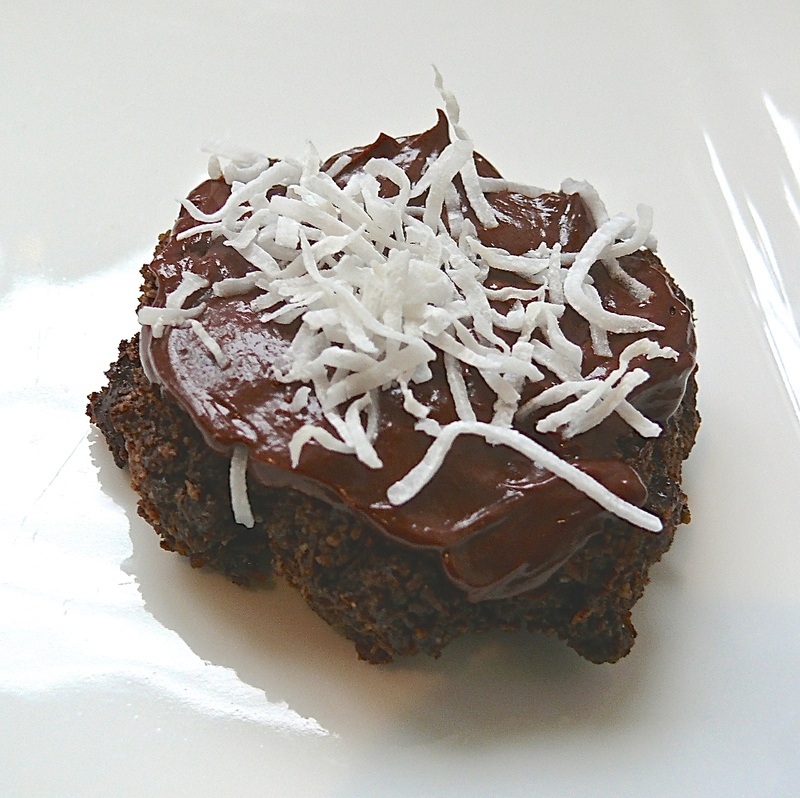 • Once cold spread spoonful’s of chocolate ganache over each cookie and sprinkle with long shreds of coconut. • Store in an airtight tin in the fridge. • Gently heat the cream on a low heat, do not allow to boil. • Remove from heat when small bubbles start forming. • Stir in your chocolate and beat until all melted. • Place in fridge until it has thickened enough to spread. There are many great primal and paleo food bloggers posting chocolate cookie recipes so don’t just try mine. Try some others and come back and let us know what you liked about those. This looks great. It is amazing how we can make yummy things without the junk! Visiting from Real Wholesome. Thanks for visiting and I love – “yummy food without the junk”! You are so right. I had a couple of Wendy’s cookies today and they were delicious, cant wait to make some myself!